Home » News & Events » ACG MILTON PARTICIPATES IN MILTON BIZ TO BIZ SHOW!! ACG MILTON PARTICIPATES IN MILTON BIZ TO BIZ SHOW!! 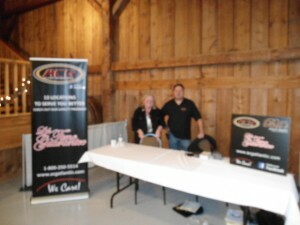 ACG Milton was proud to participate in the Milton Chamber of Commerce Biz to Biz show Tuesday April 17/2012. We had the opportunity to meet and network with various local businesses and vendors. The ACG group has always been a proud supporter of local business and supports many charities and sports teams in the GTA.